Congratulations! But… I’m not sure how helpful this article is to someone considering doing their instrument rating. I did my (helicopter) instrument rating this summer and whilst I had the benefit of being a full time student, I can’t help but feel that the instrument rating isn’t as hard as this article makes it sound! Hi Ben, thank you for your comment. I have no idea how a fixed wing, high performance airplane would compare to a helicopter in terms of the instrument rating. I did have the pleasure of flying with the California Highway Patrol in their multi-million dollar helicopter. The pilot said, “Here’s something you can’t do in the Mooney.” We went from 120 mph to a hover. That was so super cool. All the best and let’s all keep flying. Congratulations Jolie! I agree that the rating is one that is EARNED. It was certainly the hardest thing I’d done in my adult life. For those of us who (at best) only get to train 2-3 times per week it’s not an easy path. Yes, I completely agree with you Chuck. In some ways I admire the younger generation that can go to an aviation program where they fly nearly every day. Congrats on your new rating! The same airplane you flew before will now be twice as useful. I don’t know if you can translate that into dollars, but I bet if you could, it would be worth more than the money you invested in your instrument training. If I had one piece of advice to impart, it would be: maintain your practical and legal instrument currency, don’t let it slip away! I’ve met many pilots who are instrument rated but are neither current or comfortable flying in IMC, which is a shame given all that hard work and time they originally put into it. Hi Ron, thanks for your words of encouragement. Staying current and proficient will be challenging, but I am committed to it. Super performance, well done! Thank you for the story, too! Mooneys 2 Oshkosh, 2018! See you there! I have flown in the Mooney Caravan in 2016 and 2017. I look forward to flying the Caravan in 2018 as well. Thanks for your note. Thank you for your thoughts and insights Rick. Really appreciate them. Wonderful. Congratulations. I want to hear more of your flying exploits. Keep writing Jolie. Thank you for taking the time to write a comment Erik. I am going to keep flying and writing! me to finish in less than 3 months. Reading your decpscription allowed me to enjoy the sense of accomplishment all over again after 10 years of enjoying IFR flying. Thanks for your comment Lee. Flying in the IFR system is really exhilarating! Congratulations Jolie! You give me inspiration to go ahead and try and get my Instrument. I have a Grumman with basically the same panel and avionics that you do so it can be done, you’ve proved it! Thank you so much for your comment Denise. Go for it! Congratulations on successfully rewiring/training your personal neural structures, and on obtaining that rating. Your description of your struggles reminded me of a question I have pondered from time to time during the 36 years since I passed my first Private checkride. My pondering has increased in frequency during recent years, as technology has caught up with my engineer’s imagination. Equipment capability and reliability has improved significantly, thus I wonder how long it will be before instrument training and certification catches up to do away with the cumbersome steam-gauge techniques of “turn, time, twist, throttle, talk” for pattern location and reporting. Now, with GPS and even on-board inertial sensors, multiple independent/redundant yet data-sharing tablet computer displays, and corresponding synthetic-vision software, reliable means of determining and reporting position automatically can make instrumented flight along a dynamically-displayed path as simple as driving a car. Even the coordination and confirmation of clearances, sequencing and flightpaths in busy terminal space could be done without voice communication. Imagine what this would do to the instrument flight environment (and how much neural retraining would be required to get legislators and controllers to implement it). Most of the equipment to enable this has been mandated for GA use by no later than 2020. I can only hope optimistically that we all will be able to see so clearly. You do have an interesting point. I suppose part of me wonders the same thing, and the other part is keenly aware of how we love vintage airplanes, and the nostalgia for a simpler past. My Mooney is a 1965 and has a very simple panel, yet is fast by GA standards. Yet when I flew in the 2018 Mooney Ultra, the technology was impressive. As a student it was double edged to only have the DME and 2-VOR heads. On one hand, once “mastered” [I use that term loosly] the information was delivered in a simple manner. On the other hand, I envied those folks who had a magenta line to follow. Ah, yes, the magenta line … for quite some time a favorite of mine! One of the interesting features of the new tech is how portable it can be, so that it can be carried aboard even the simplest vintage aircraft without any installation, like a smartphone. Of course, anyone who is nostalgic for the headwork and hand coordination of steam-gauge technology could still use such ancient instruments or simulate them — though, at some point, DME and VOR will no longer exist, because the expense of maintaining them will be prohibitive. That leaves us with the new technology, or it takes us back to dead reckoning (which is not so good for IMC). Now, it’s true that no one is yet producing an ADSB, Mode-S communicating system in a smartphone or tablet package, or even a self-contained portable box, with its own power supply and wireless tablet interconnection, that could sit on a cabin floor while a smartphone or tablet displayed position, attitude, 3-D flightpath, terrain, weather, and other flight-related info (rather more than the ol’ magenta line). Right now, the legal pressure is on certifying equipment for permanent aircraft installations. But give it a little time, and the instrumentation may become a flightbag item rather than part of the aircraft, to be preprogrammed for a given mission, and even tested in simulation, before a mission begins. Rich, that made me laugh out loud. For me it was probably when I could rattle off what makes an approach an “A”. SO MUCH of this rings powerfully true. I can particularly relate to the stress and insomnia caused by self-imposed pressure. Thanks for writing it. Thank you Michael. Sometimes it is difficult to “fess up” when it comes to our emotional or mental health. It was actually sort of a challenge to myself to exercise, eat well and get good sleep prior to the check ride. I always love to hear other pilot’s experience in IFR training and checkrides. My experience was completely different. I was an air traffic controller in a busy approach control for 25 years before the mandatory retirement age of 56 caught up with me. I grew up in an aviation family with Mooneys and Cessnas and obtained my private pilot’s license back in the early 80s. Work, family, and other obligations only allowed for occasional flying for the next 25 years. As soon as I retired, I bought a C172, researched all of the new equipment available, and spent the more than twice the airplane’s value on a new panel. After getting familiar with the new equipment, I found a great instructor named Scott Best down in NC and we flew over 7 hours a day for 5 days. The weather was crap the entire week and we were IMC at least some part of every day. I logged 10 hours of IMC during my training. On the sixth day I took my checkride with a DPE in Raleigh. We had to file IFR just to get there and back. The ceilings were around 2200′ and the winds were 35knts at altitude. 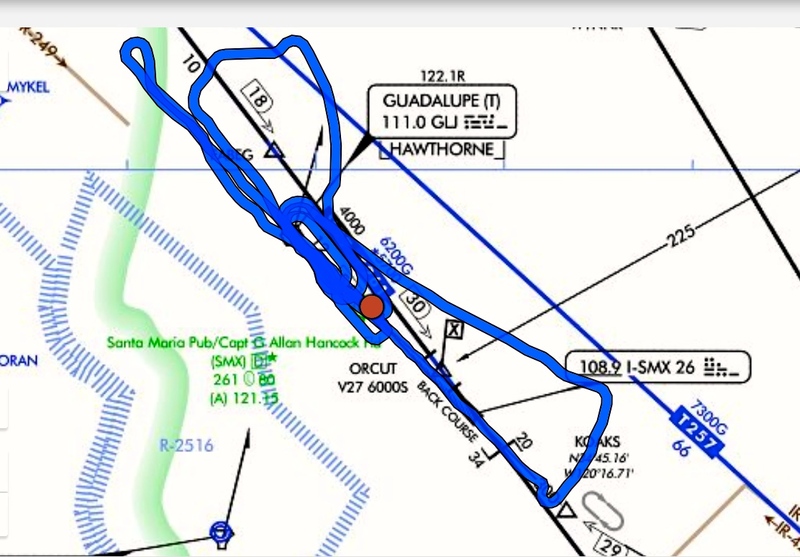 That made for an interesting checkride. I have to say that I loved the accelerated training schedule even though it’s like drinking water from a firehose. My 25 years of being on the other side of the radar scope made it fairly easy because I knew exactly what was going to happen at each step along the way and the phraseology was second nature. I have a very modern panel with an IFR GPS/FMS coupled to an Aspen PFD. My instructor commented that the panel made it too easy so we started turning things off. As for the written, I used the King online course to prepare. After finishing that, I still felt unprepared so I went through the Gleim IFR test prep manual. I took the test and missed one question. I feel strongly that having an instrument rating is at the top of the list of things that I’ve done to enhance the safety of my flying. I promote IFR training to anyone that will listen. I am an FAA safety rep and also host an IMC Club. Welcome to the world of IFR flying. Thanks for sharing Jolie. I may make this required reading for my students. Without question, the instrument rating is the hardest of all. I tell my students to not expect much “sightseeing” during their lessons… just hard thinking. Getting an Instrument Rating is much like spending 40 hours in an elevator. You push buttons and you go UP and DOWN but you can’t see out. 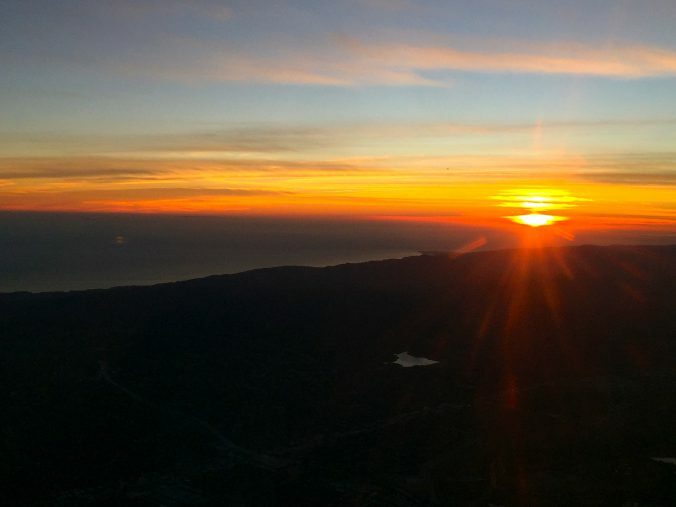 The reward is that the first time you break out at minimums and the runway is dead ahead, the feeling is as delightful as your first kiss. Congrats… and thanks again for sharing. Thank you Terry. Your comment is in line with my biggest hope for the piece. On my check ride I was under the hood for about an hour and a half. On that last approach, a VOR-A partial panel when I finally got to take off the visor it was pretty glorious. I threw it in the back seat and thought, “Freedom!” Thank you for your kudos, I appreciate it. I just finished reading your article on your accomplishment of earning your rating. Congrats!! This was by far one of the most inspiring stories I have read. Incredible what the human mind can achieve when programmed correctly. Anyway, just wanted to reach out and let you know you have a fan in New Jersey (Im a 172 pilot VFR only for now!). Safe flying and Happy Thanksgiving! Thank you Frank! You gotta get that rating! I am glad you enjoyed the article. Great job Jolie! I am about to start the journey myself. But after reading your article, I have just one question. Are you from the Boston area? Who else would use the word ‘Wicked’? As in “my instructor Mike is wicked smaht”. Great article Jolie and congratulations. It is motivating. I’m considering my Instrument rating in my 1948 Navion hangered at Santa Maria. 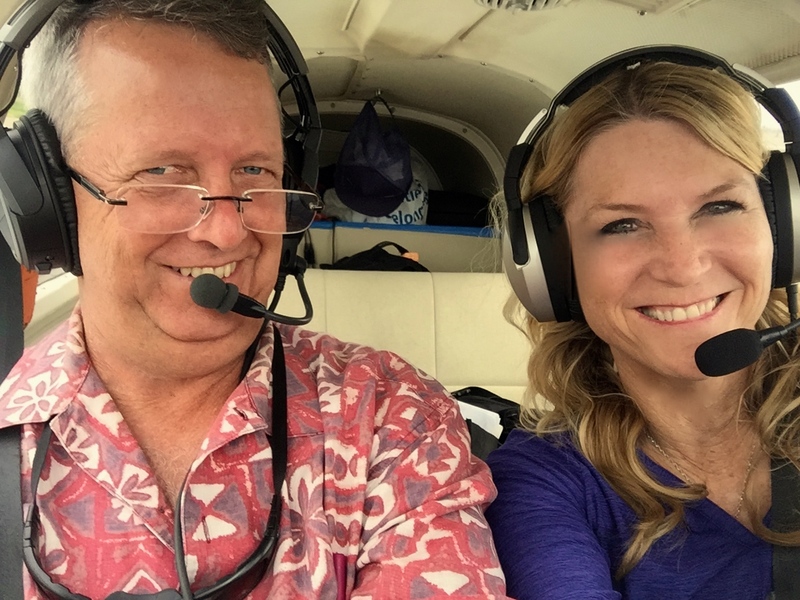 Met Mike at the AOPA Fly-out to Catalina in May, you had a excellent instructor! 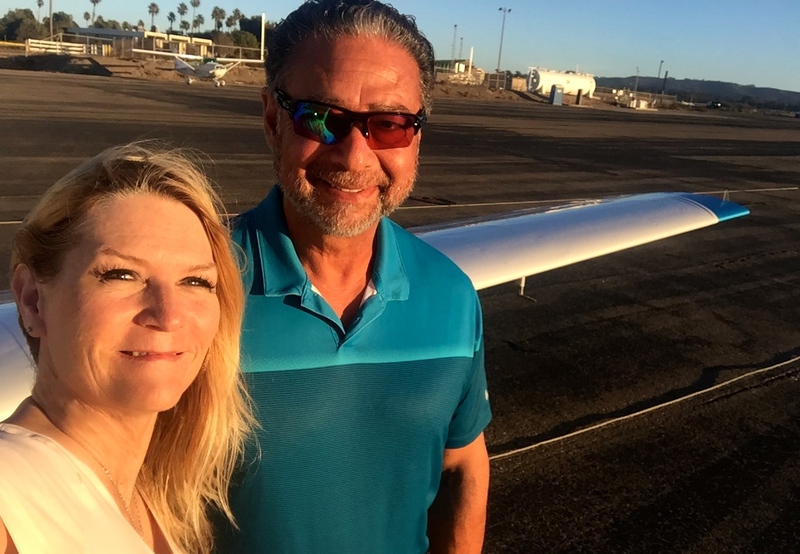 And thanks for your support of Oceano Airport! Thank you Pat. Go for it! Also please remember that Toys for Tots is December 2nd at Oceano Airport from 10-2! 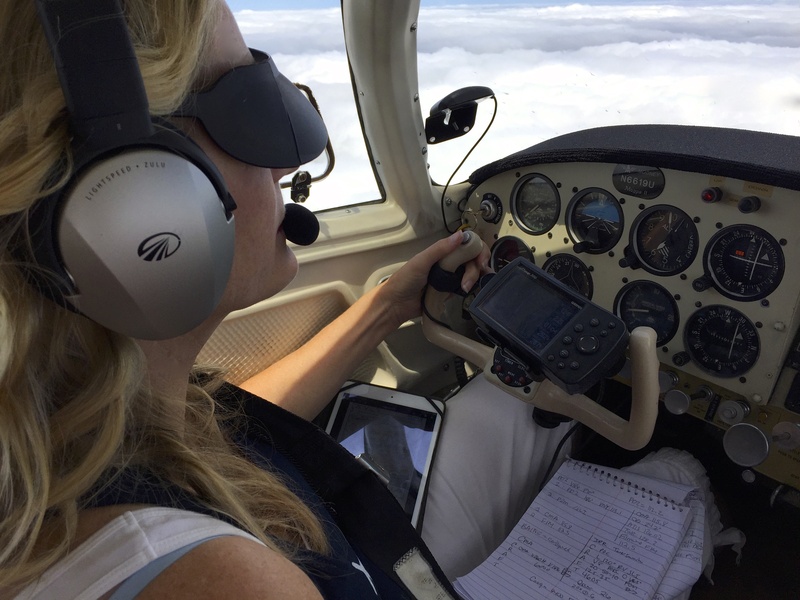 Thanks for the share Jolie, I’m in the same boat my 68′ mooney M20C Ranger has no autopilot, no IFR GPS but IS IFR compliant. I’m chopping away at it, written is done and hours required are met I’m polishing up for the check ride now, no check ride date yet. Thanks for the inspiration! Thanks for the note Christian, the Mooney is a very stable platform for IFR. Have read your article several times over the past week. It has brought a lot of encouragement as one who has just started instrument training (also in a plane without autopilot or GPS). Your article is very inspiring. Thanks so much for sharing your journey with us! It means a lot. Thank you Sandra! All the best to you on your instrument training. It will make you a much safer pilot and you will definitely get to fly more. Thank you so much Abbie!